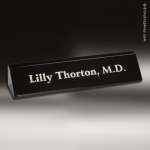 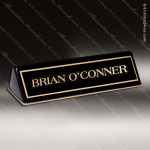 Available in both black piano finish and rosewood piano finish, these desk wedges are available in two different sizes with a black plate laser engraved to gold writing. 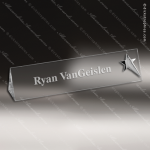 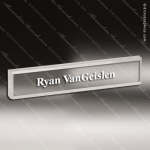 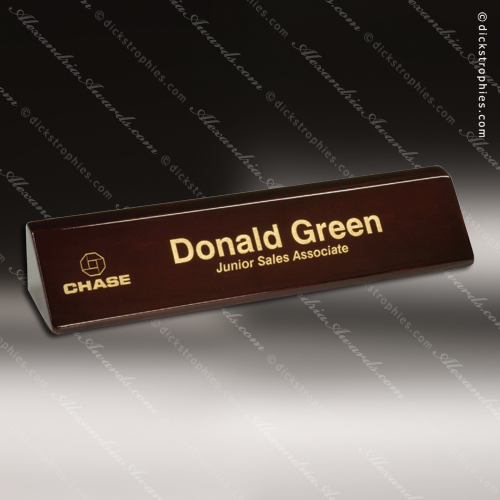 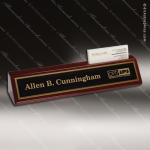 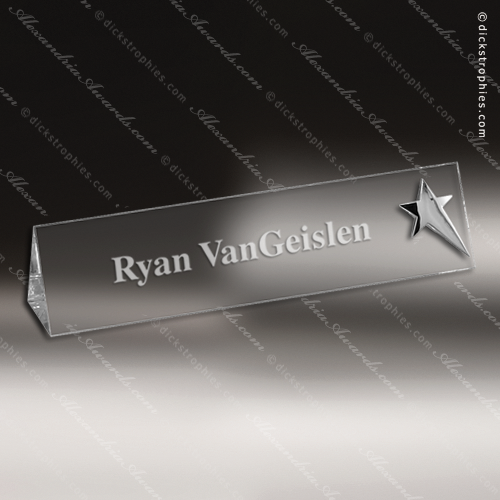 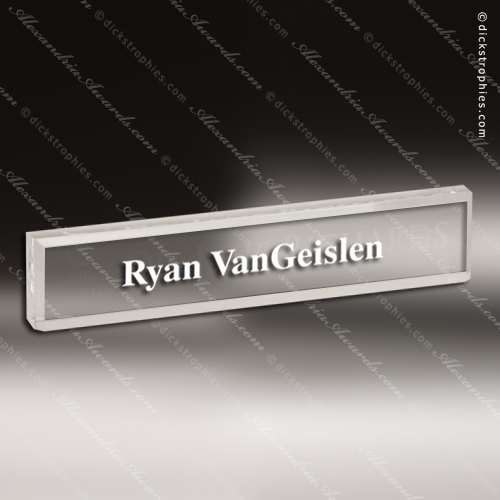 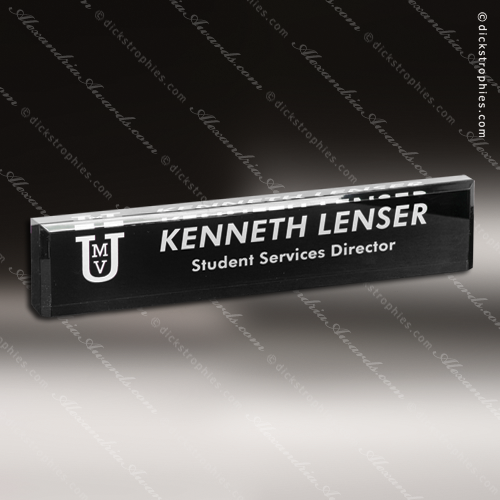 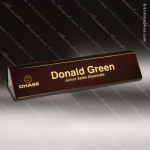 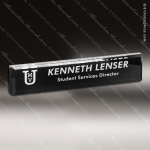 Each desk wedge name plate is individually boxed. 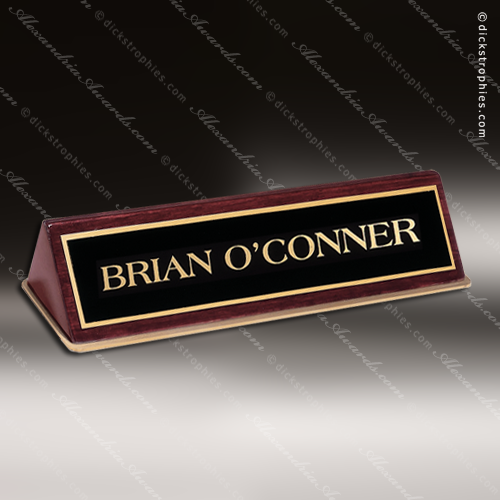 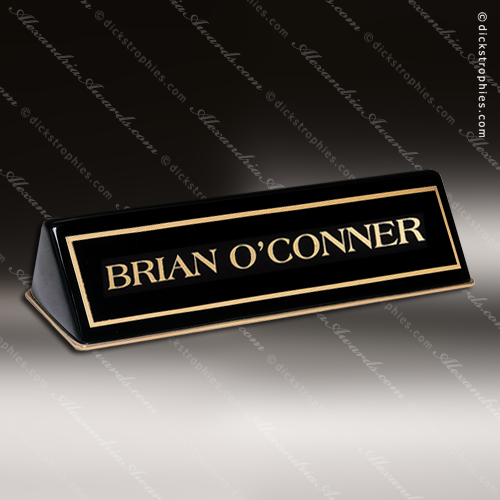 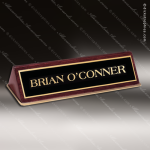 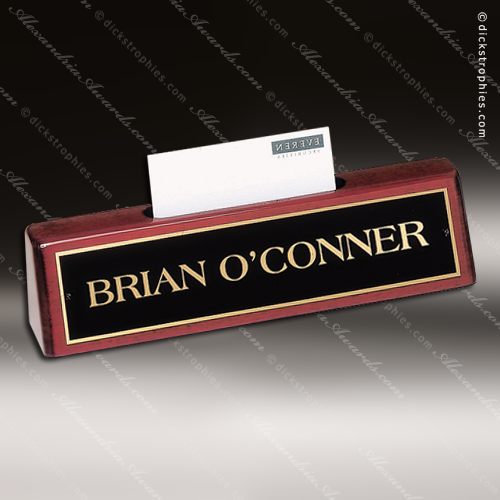 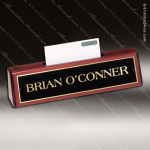 Made from Genuine Marble, these desk wedges come in either black marble or green marble with a black plate laser engraved to gold writing with a gold border. Available in two sizes, each desk wedge comes individually boxed.